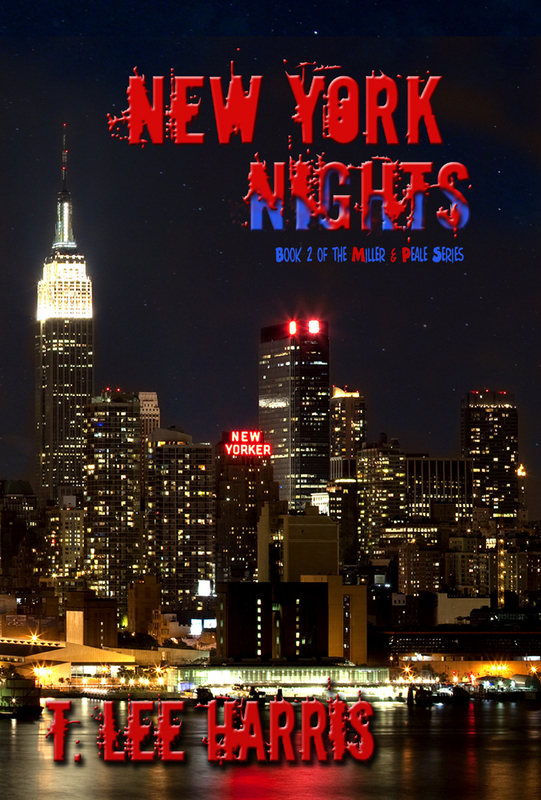 New York Nights, the sequel to my paranormal buddy cop thriller is now available. The story picks up where Chicago Blues left off and sends Galen Miller and BC Peale to do to New York everything they did to Chicago — and more. Undeath isn’t going smoothly for BC Peale. Peale’s unintentional intrusion into an illegal arms investigation in Chicago has gotten him drafted into Sentry International as a Special Agent and partnered with former football star, Galen Miller. It also brought him face-to-face with his vampiric sire, Francesco Borgia, for the first time in more than two hundred years. That arms case has come to a cataclysmic close, leaving one colleague dead and both Peale and Borgia injured. While grief and wounds are still raw, a series of brutal killings take place in New York City. The victims are all connected to Eddie Michalson, one of Borgia’s top Lieutenants, prompting Sentry International to pack Special Agents Peale and Miller off to the Big Apple to liaise with NYPD to solve the murders. However, the assassinations are only a small part of the problems awaiting the team in the city. The killings have ignited a power struggle within Borgia’s criminal empire, shaking it apart and placing everything and everyone Miller and Peale care about at risk.